Whenever I chat with people about weekend trips, I often hear about trips to Vegas, trips to LA, etc. You people are missing out! 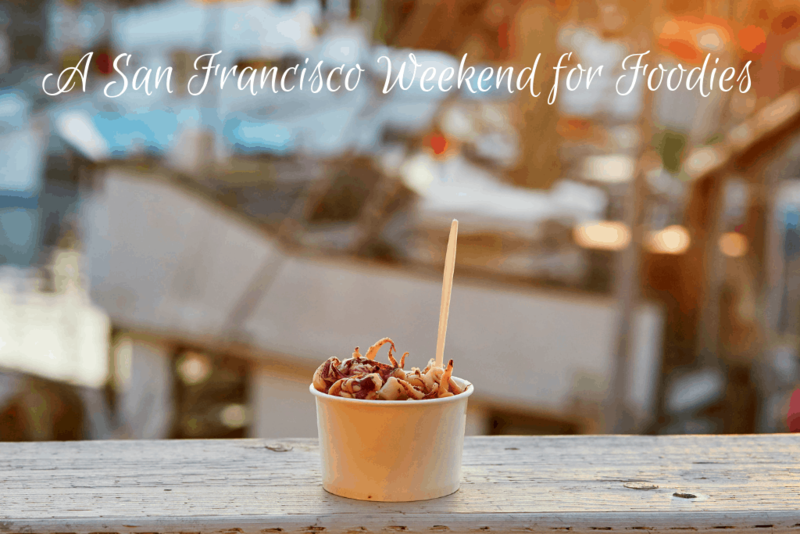 A San Francisco weekend chock full of food exploits is the place to be! San Francisco is small but mighty. 7 miles by 7 miles, but packed with great things to eat, drink and do. It is an awesome place to come for the weekend and this post is intended to convince you! 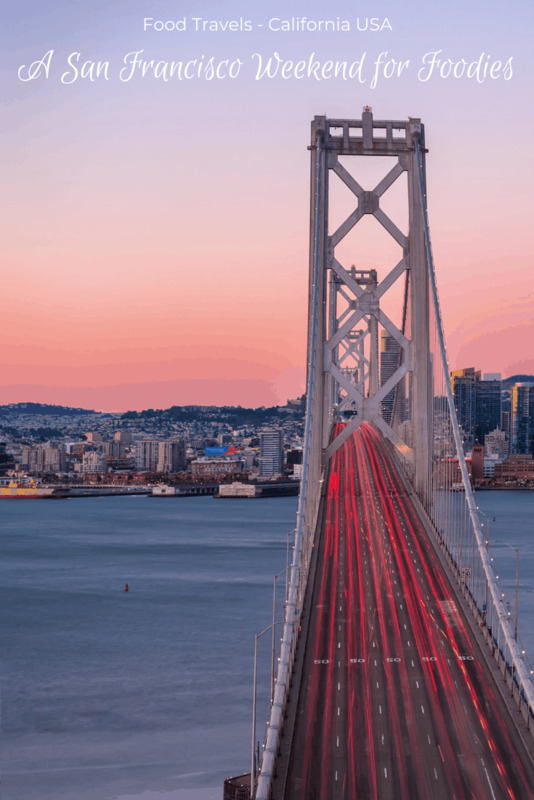 Start your weekend by flying in Friday afternoon, either SFO or OAK will work, both now have BART (the subway) directly from the airport so you can get into the city fairly quickly. If you rent a car be prepared to sit in a little Friday night traffic, but don’t worry you will be rewarded, just think of it as building up your appetite for the evening! 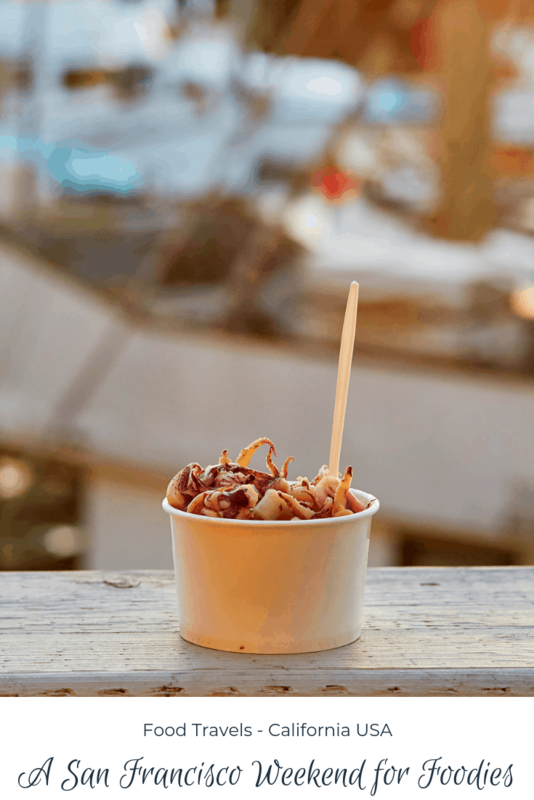 When you get in the city, head directly to Fort Mason in the Marina/Presidio area for the Friday night version of Off the Grid. 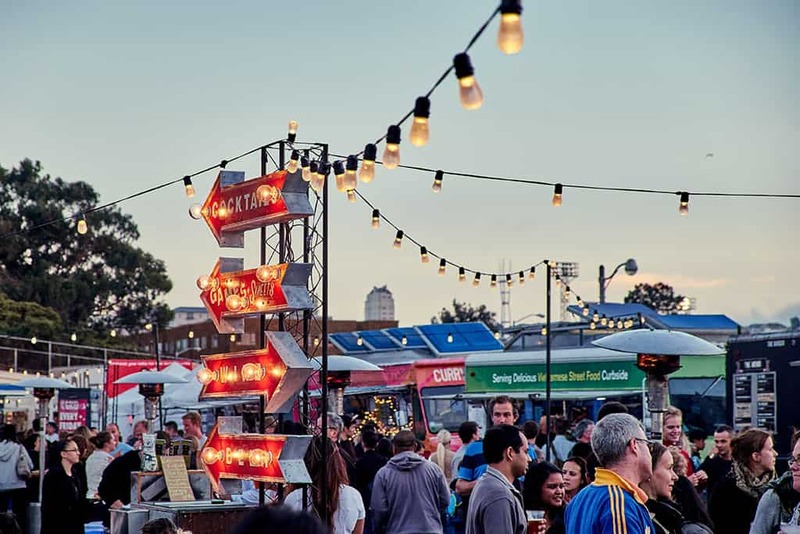 Food trucks are a big deal in San Francisco and there is no better way to test them out than at this massive weekly food truck event. There are over 30 trucks; pace yourself there are way too many delicious dishes out there! 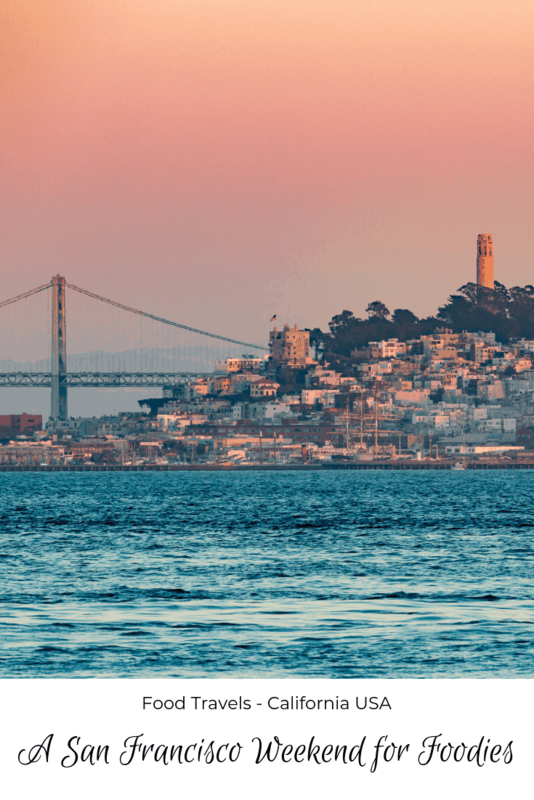 Work off your dinner (it is impossible not to overeat) by walking back through the Marina, Fisherman’s Wharf to the Embarcadero and stop for a nightcap at any one of the restaurants along the water. 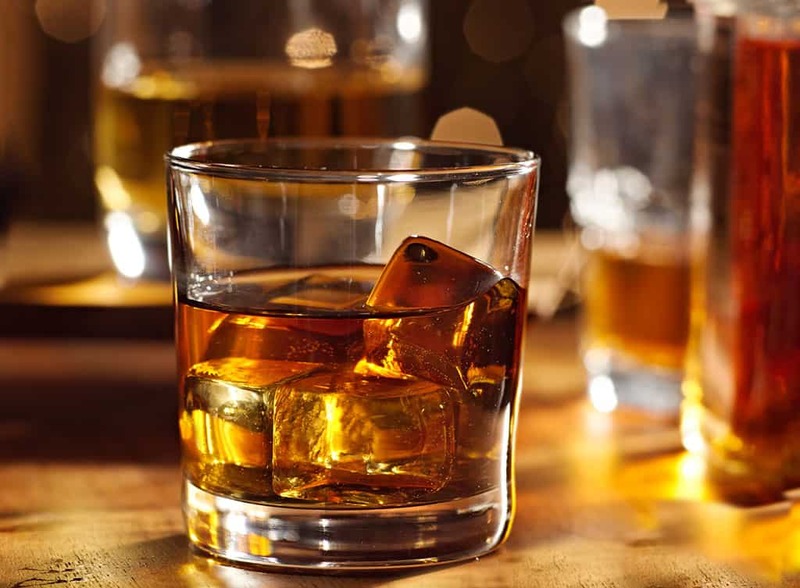 Or head into the city a couple of blocks and check out one of the bourbon bars in the Financial District. Warning, don’t drink too many, you’ve got an early morning – you can sleep in a bit on Sunday! 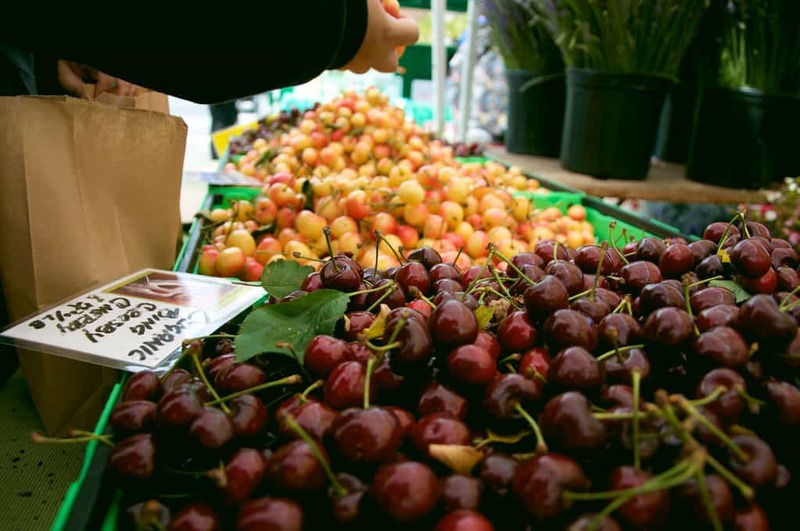 Wake up bright and early and head to the farmer’s market at the Ferry Building. There are close to 100 food stalls. You can grab breakfast at Acme, Craftsman & Wolves, or Della Fattoria while you do some picnic shopping for lunch. Alternatively, also waking up bright and early, get yourself in line at Bar Tartine, the best bakery in the city for amazing pastries, coffee, and sandwiches made with bread that tastes as if came straight from heaven. 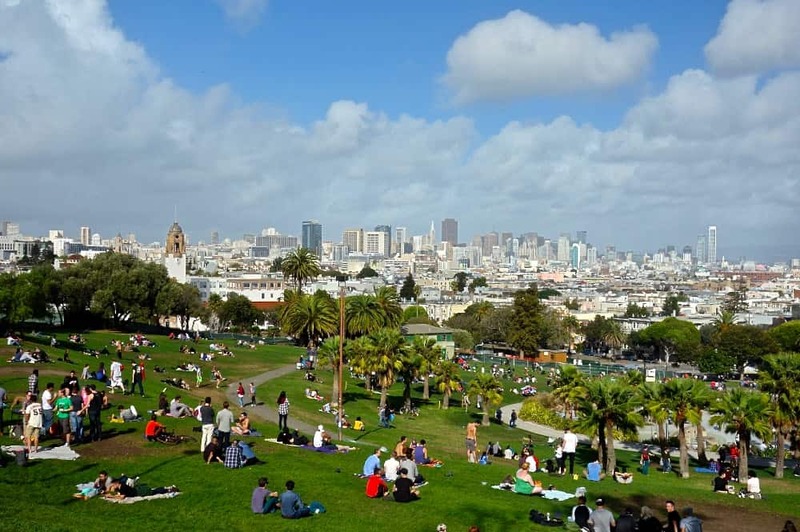 Whichever spot you choose, once you’ve got all your lunch goodies packed, you’ve digested your breakfast and finished your Blue Bottle coffee, head over to Dolores Park for a picnic with an amazing view of the city. This park embodies San Francisco’s spirit, people-watching is the best activity you can do here, and there is not a shortage of interesting. For dessert while leaving the park head to Bi-Rite Creamery. Rich, creamy, cold ice cream in unique flavors, it is a San Francisco institution. You’ve been outside all day, take a load off at any one of the amazing restaurants that the city has to offer. You can literally throw a rock (please don’t) in any direction and find a great place. You cannot go wrong, trust me! 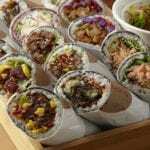 Here are some of my posts that include San Francisco restaurants to help you out. You had a big food day yesterday! Sleep in because for breakfast I am recommending dimsum and that starts at 10:00. My favorite spot is Yank Sing, but there are many great options in the Richmond or Sunset Districts. My San Francisco Bay Area Dimsum Guide will give you the highlights. 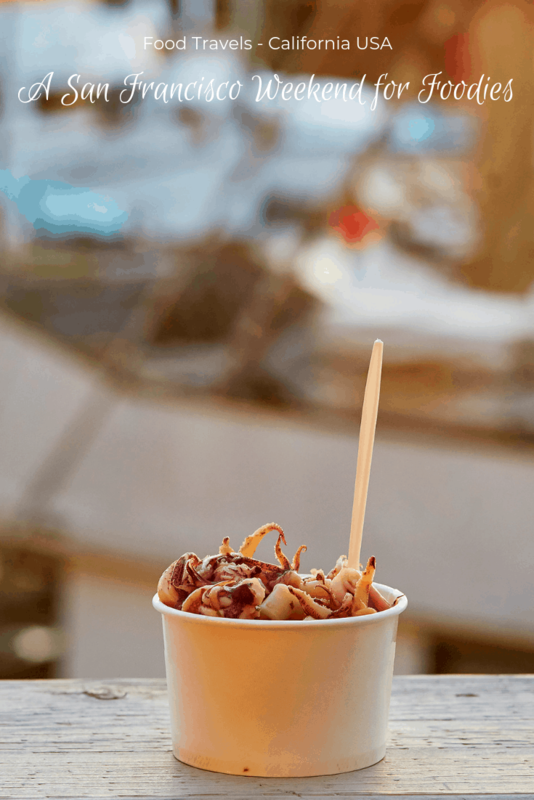 If dimsum is not your thing, head back to the Marina. I swear they have more brunch spots than any other neighborhood in the city! You’ll have a leisurely meal with a great view, which is perfect for saying farewell before you have to catch your flight home. See. Wasn’t that fun? That is *just* one weekend, I could create dozens around food! If you are visiting in the winter, don’t miss crab and oyster season. How about you? Do you have a recommendation for this foodie itinerary? 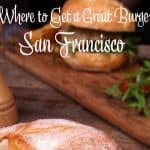 Not everyone’s taste buds are the same, so I’ve got a whole bunch more San Francisco food options for you! The west coast has a lot of dishes to taste. Marina is lovely . when I am in San Francisco love Bi-Rite Creamery tasty and rich. I am a foodie!!! I love to try new restaurants and new foods. If I make it to San Francisco, I will remember these tips. I really need to make it out there soon. I’ve been a few times but I’ve never had enough time to explore and get a feel for the city. That sounds like one delicious weekend! My boyfriend would love to take this stroll! I’d love to go to San Francisco someday. They have very nice city views and I’d like to try their food. I’m a foodie, this sounds like loads of fun! I so want to visit your country, planning a trip soon. I’m missing out. There is so much to do there, no wonder my sister keeps on coming back. I just might go with her next time. It’s on top of my bucket list! Gee.. can no longer wait for my vacation and have some fun and eat lots of food! Yes, that was fun! It was like a virtual, yummy weekend! I need to explore San Francisco a bit more. We don’t get up there nearly enough. I would love to visit San Francisco and eat awesome food. The city scape looks awesome from that park. This would be an amazing weekend. I have always wanted to go to San Francisco. I love trying new foods. My husband and I were just visiting San Francisco a few months ago. I wished we had more time, so we could have tried so much more food! I am an adventurer in travel and food. I love exploring new places as well as recipes. I’ve only ever stayed just outside the city — I would love to spend a weekend like this all up IN it! @Katie, one day when you move out here, after winning the lottery! @Diana, so glad to hear! Have you been before? Yes Andi, I used to live in San Diego and going north every few months to Disneyland, and San Francisco was always a treat for us. My favorite time of year to go was mid Fall to late Spring, everything seemed to be brighter, more fun around the holiday season as well as during Spring for picnicking and going to Fisherman’s Wharf and the Ghirardelli Chocolate Factory tours and festival. Gotta remember this post for my SF plan…some day in the future! @Mai, please reach out if you even make it over, I’d be happy to help you put together an itinerary! I love how you’ve laid this out and I agree that San Francisco is a great food city. I typically think of NYC or NOLA if I want a food getaway but a weekend in San Francisco would be fabulous as well. @Tamara, I may be jaded, but I think SF is as good as either of those two (although they are great eating cities!). I love what a great foodie town San Francisco is. I’ve eaten at a few of the places you’ve mentioned, but then you taught about 6 others I need to go to. I’d be really interested in checking out that food truck night – seems like a great way to sample a lot of things at one time. @Kelly, it is! One of my favorite ways to eat, the truck parks make it so easy! Love this, Andi! San Francisco is most certainly a foodie’s heaven! I imagine you could fill up a year’s itinerary with fab foodie spots in SF! San Francisco has been on my MUST-visit list forever! I’ve heard that it’s a foodies paradise…and this only enforces it. Bar Tartine is a destination spot, and now I’m adding Dimsum for late Sunday morning to my (one day) itinerary! Can you believe I’ve never been to San Francisco? I t seems like the city was made for me, I definitely need to get out to the West Coast. i love visiting the ferry building. looks like next time we’ll also have to check out dolores park. 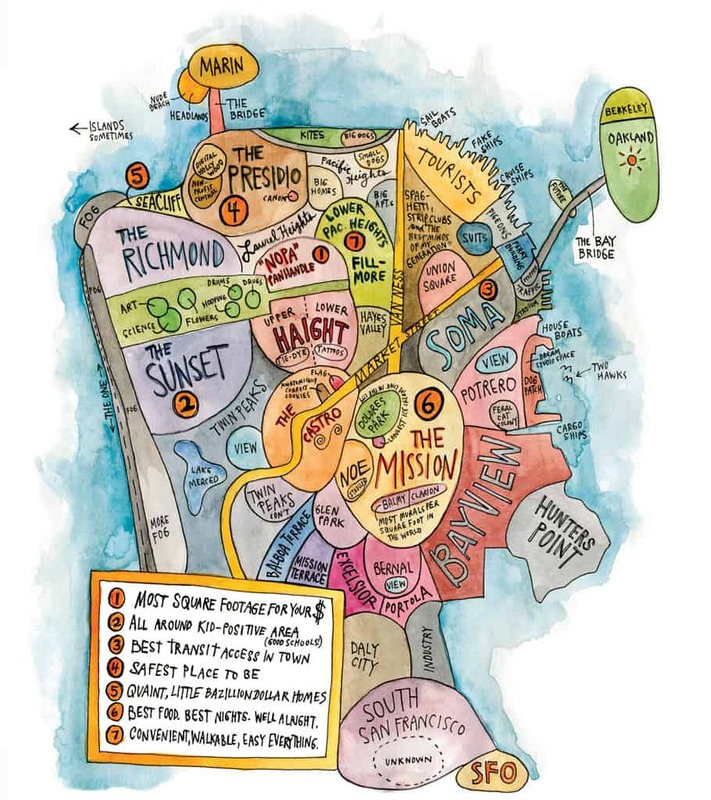 I’m going to bookmark this for the next time I go visit my sister in San Francisco. So many great options – and not enough time to try them all! Oh wow! I do hope I can visit San Francisco and enjoy the food in those places. @Nick, you can’t go wrong with ANY Mexican in the Mission! Fantastic! I am pinning this for later. My sister and I are trying to come up with a city for my bachelorette. Las Vegas, San Francisco and Los Angeles are my top 3 and this would be a great way to kick it off! Oh that sounds so fun. I would love to go here and the Farmer’s Market sounds amazing. 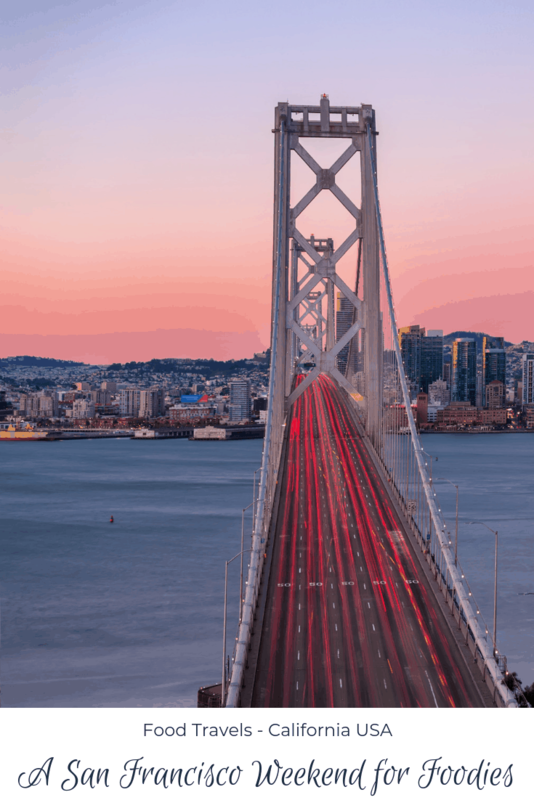 I’ll definitely keep this blog post in mind when I’ll travel to SF! Wow, sure looks like you had an awesome time! I’d love to see the sights and more importantly eat the foods! Thanks for posting this, I’m pinning it for hopeful future use! I haven’t been to San Francisco in fifteen years! I would definitely like to visit again and try out some of these foods. It looks like that you have compiled a good collection of places to check out. 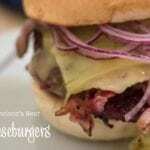 Seems like there are a ton of amazing places to eat in San Francisco! I’ve been to LA and to way up north (Eureka), but I’ve never been to SF. I would love to see it sometime. It has such a rich and diverse history. Plus, I’d probably fit in pretty well there! Wow – what a fabulous and delicious weekend! Wow, I’ve never been to San Francisco but boy will that change soon. One things for sure, we enjoy eating and I wouldn’t mind visiting any of these places! Great tip. As a Vegas Local I am always looking for weekend getaways OUT of the city. San Francisco is definitely on my list. I can’t believe the city is only 7 miles x 7 miles. I love street markets so I am saving all your tips. I’ve yet to make it to San Francisco but hope to visit one day! There are so many amazing places to eat. I wouldn’t know where to start. You gave some great pointers. This would be such a fabulously fun weekend! 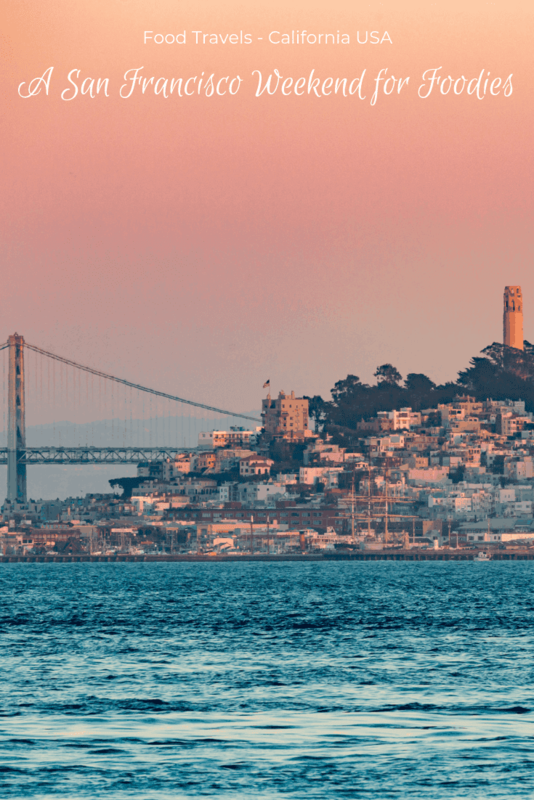 I had no idea that San Francisco was so small as that– the city I’m in is about the same size, only we’ve got a small fraction of the population– you learn something new every day! I hope to make it to San Francisco someday! We love San Francisco and go every couple of years. Bookmarking your post for the next time .. there are so many places I’d love to try. Especially the farmer’s market .. I could easily spend an entire morning walking from stall to stall and always come home with far more than I need! I’d love to go there. Haven’t been there yet. We were there last year we walk all the way to the Golden Bridge in high 80’s temperature. We had a blast after that we stop by at Ghirardelli factory to get some Ice cream. We are planning to back next year same area but maybe try the Napa or drive and hike to Yosemite NP. wow what a food packed itinerary! i love it. i do tons of research before my trips to find good restaurants, bars and brunch spots so will be saving this for later. i hear great things about SF’s food scene! i would have fainted on the bridge,how long is it? So many places to eat at! I would definitely stop at Bar Tartine. I’m a foodie living in Canada I would love to travel there to try all these places out. Thanks for sharing. Awesome, dim sum is the bomb! @Calvin, do you have a spot near where you live? 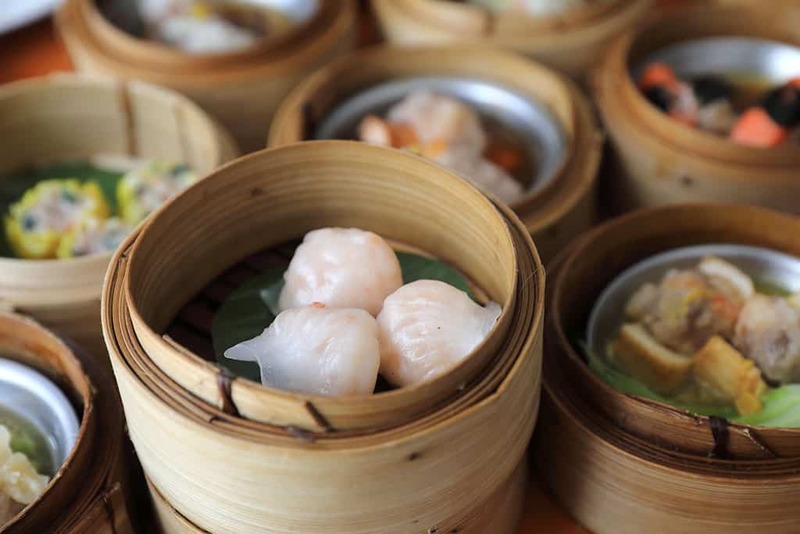 What’s your favorite dimsum item?